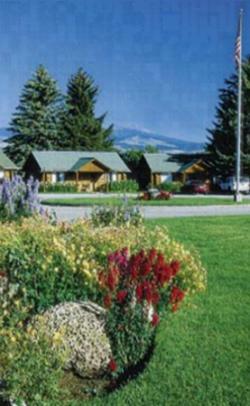 El Western Resort and Motel is a premier fly-fishing and vacation haven in the heart of the Madison River Valley. Authentic western cabins with incredible views for overnight or extended stay. Fifteen beautifully landscaped acres with lush green lawns, towering spruce and a rushing creek. Conference facilities are available for group meetings or catered parties in a spectacular mountain setting. Large open deck and picture windows provide the perfect backdrop for productive meetings or social gatherings. Located in the heart of southwestern Montana, El Western is the ideal destination for blue ribbon trout fishing in the acclaimed Madison River. Or explore some of the spring creeks, mountain lakes or other famous trout rivers within a short distance. Other nearby activities include historic Virginia City, Yellowstone National Park, Lewis & Clark Caverns, golf, hiking, white water rafting, horseback riding, wildlife viewing and exploring the Beaverhead-Deerlodge National Forest. Our immaculately clean cabins include overnights, kitchen suites, deluxe kitchen cabins with fireplaces or our premier lodges. All have daily housekeeping, phones with modem port and cable TV. A Montana tradition since 1948. Call for reservations and information 1-800-831-2773. John & Kris Hauck, Owners. Cable TV - Phones - Coffee. Directions: El Western is located 1 mile south of Ennis on US Highway 287 South. Yellowstone is 70 miles to the South. Virginia City is 15 miles west. Travelers coming by air should fly to Bozeman, Montana, which is just 50 miles northeast of Ennis.